Want a great style that allows you to wear a ponytail or an updo with ease? Do you want coverage for hair loss around the face? A scalp that can breathe and reduced itching? Versatility in how you wear your hair? 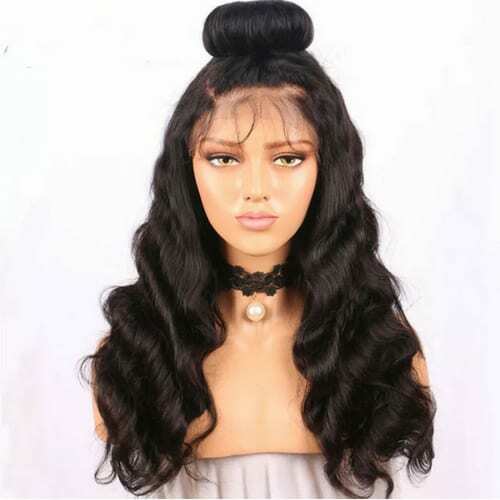 A 360 lace frontal wigs does all this and more. Beautiful Brazilian Hair in this exquisitely weaved 360 lace frontal. Super fine Swiss Lace, which is not only strong and invisible but comes with a pre plucked hairline and baby hair for a very natural look. Soft hair that you can style as you please, no split ends. Why Use a 360 Lace Frontal? 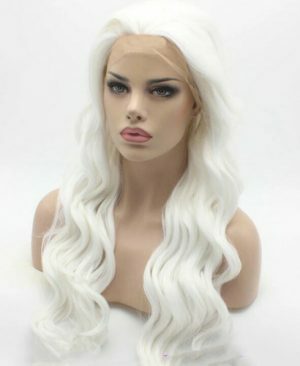 360 lace frontal wigs look essentially like a wide headband with hair on it. Because it goes around your whole head and has baby hairs and a pre plucked hairline all around, it gives the most natural hairline next to your own. When doing a ponytail or other updo, it looks like your own hair. 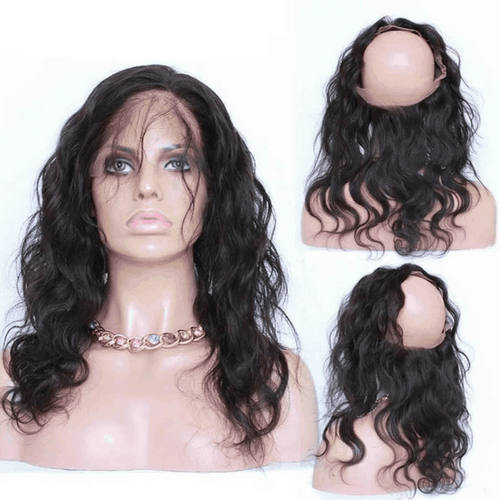 Unlike a traditional sew in weave style, with bundle hair and a closure, 360 Lace Frontal Wigs give you the natural hairline of a lace wig with the option of creating a deep part (middle part, side part…change it from day to day). Because the crown and back of the head is not covered in lace or mesh, the scalp is able to breathe and is not irritated by the fabric causing itching. How do I use a 360 Lace frontal? 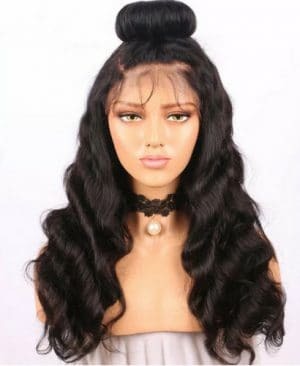 360 lace frontal wigs can be used as a sew in or glue in style or you can make a wig out of it to take on and off as you please. Check fit of the 360 lace frontal to ensure a good fit (you do not want it too loose or too tight). Ensure placement of 360 lace frontal is good and then either pin it or do a stitch on either side of the head near the ears, attaching it to the braids. This will see it attached while you work. Cut the lace to match your hairline. Once you are satisfied with the hairline, its time to start sewing. Part the 360 lace frontal about 1cm from the hairline, get your curved needle and start sewing the 360 lace frontal to the braids, make sure you lift the strands occasionally as you sew to make sure the placement is good and nothing has moved. (I like to start at the nape of the neck and work around the head). Next, you need to lay down the lace on the other side of the 360 lace frontal by using your curved needle to sew in down roughly to the the braids (does not need to be pretty as it will be covered by your tracts). The lace frontal should now be secure. Then to finish off the look, get your bundles and from the bottom up sew in your tracts. You can use as much as you like to create the desired fullness. Lastly, lay your edges with a little gel or whatever you like to use to finish your style. Same as for the sew-in method EXCEPT that you are sewing onto a wig cap. Use a mannequin head for shape. Does the 360 Lace Frontal come in different sizes? Yes! 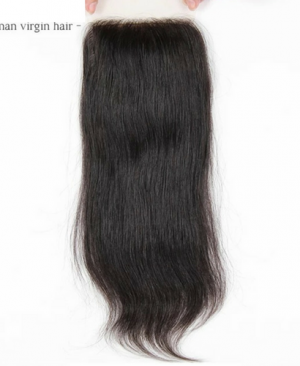 The 360 Lace Frontal with Baby Hair comes in different sizes. 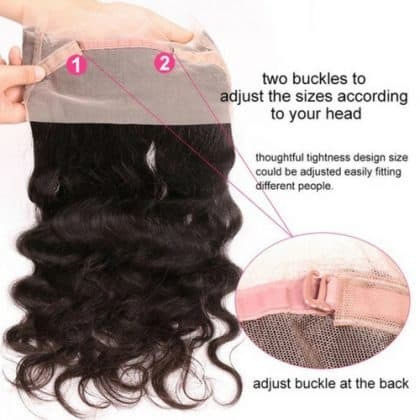 The way your 360 lace wigs fits is very important and you need to feel comfortable no matter if you wear your full lace wigs for an hour or a day! How do I know my 360 Lace Frontal cap size? To determine your wig cap size, you will need a tape measure. Take the tape measure and press one end to the centre of your front hairline. Take the length around your head, behind your ear to the nape of your neck, then up behind the other ear and around to your front hairline to meet the other end. That measurement is your head circumference and this number represents your cap size. See chart below for more details. Be sure to measure your head before ordering to ensure a good fit. 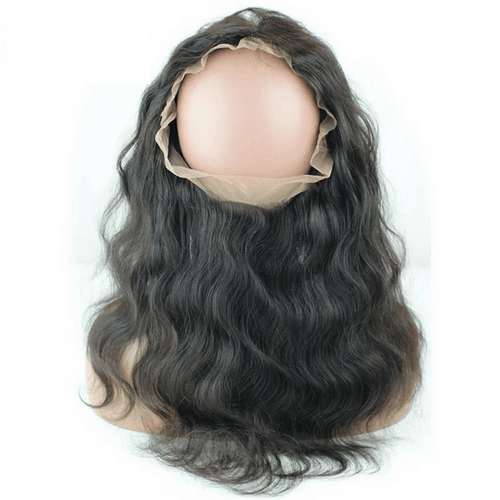 Our 360 Lace Frontals come standard with a medium cap, but other sizes can be custom made for an additional fee. The average woman head has a circumference of 22.5 inches but heads can be smaller or larger than that. Be sure to measure your head before ordering to ensure a good fit. 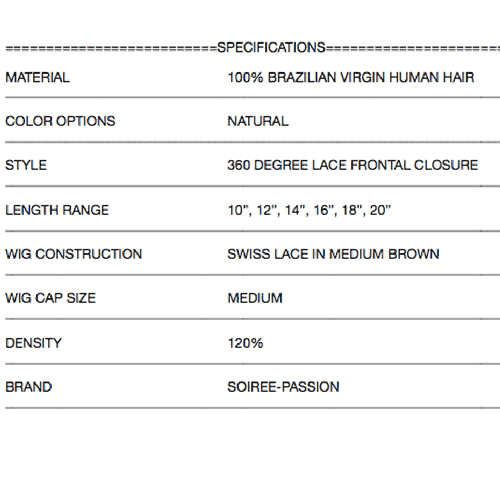 Our 360 Lace Human Hair Wigs come standard with a medium cap, other sizes can be custom made for an additional fee. Can I Style 360 Lace Frontal? Yes! The 360 Lace Wig with Baby Hair is made from premium quality Brazilian Human Hair. You can style, shape, and design it how you want. 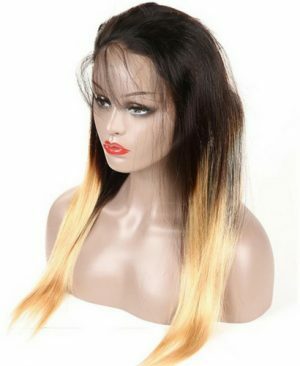 How to care for your Full Lace Wigs? 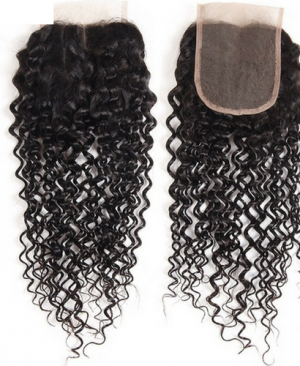 It is very important to keep your 360 Lace Frontal tangle free. Keep a brush handy for regular use. Use your brush or a wide tooth comb, starting at the ends, gently run it through working your way up the lengths of the hair until you reach the roots and can do tangle free strokes from root to tip, ensuring you are always going in a downwards motion. This keeps the hair tangle free and loosens any dirt. 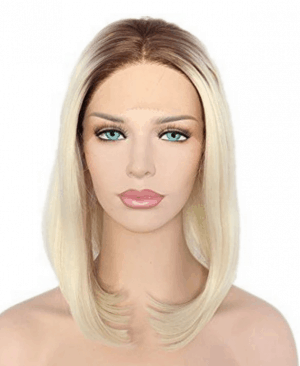 It is important to note that the full lace wigs is REAL hair. Therefore, treat it gently just like your own hair. When human hair is no longer attached to the scalp, the hair has a tendency to dry out. The best way to combat this is to use a small amount of hair oil after detangling. Gently rub the hair oil onto the lengths being gentle. Start with a little oil and you can add more as needed. This will hydrate the hair and help keep it looking shiny and healthy. What will I need to wash my sew in? Use your wide tooth comb and gently comb your hair. Starting at the ends and working your way up, gently run it through working your way up the lengths of the hair until you reach the roots and can do tangle free strokes from root to tip, ensuring you are always going in a downwards motion. Prepare a spray bottle with 1 part shampoo to 2 parts water. Shake to ensure a good mix. This is OPTiONAL, you can use undiluted shampoo if you find that easier. In the shower (this is the easiest place to keep tangles to a minimum), saturate your hair with luke warm water. Once saturated, get your shampoo spray bottle and spray onto and beneath each cornrow getting to the scalp OR get a small amount of shampoo and apply to the scalp. Using your fingertips (avoid using nails as they will irritate the scalp), in small gentle motions massage the shampoo into the scalp to remove dirt and grime build up. Do not use big circular motions as this will tangle the hair, you need to avoid tangling the hair. Rinse out shampoo until water runs clear. Gently press out excess water (do not wring). Get a small amount of moisturizing conditioner and apply it to the lengths of the hair. Avoid the scalp and the cornrows. In long strokes, coat the lengths of the hair with conditioner. Using your fingers, allow the lengths to be coated as they slide through your hands detangling as you go. Leave the conditioner on the hair for 5 minutes to allow it to penetrate. Rinse the conditioner from the hair in cool water. Gently press water from hair, do not wring. With your towel, gently pat the hair dry. DO NOT RUB as we do not want t create tangles. Next, use your wide tooth comb. Starting at the ends and working your way up the lengths of the hair until you reach the roots and make long strokes from root to tip, ensuring you are always going in a downwards motion. Continue until the wig is tangle free. Be gentle and do not tug on the hair. Comb into style. Allow hair to air dry, but keep away from direct sunlight. Avoid blow drying or other heat styling. N.B. Never use hot water as hot water will destroy the hair. 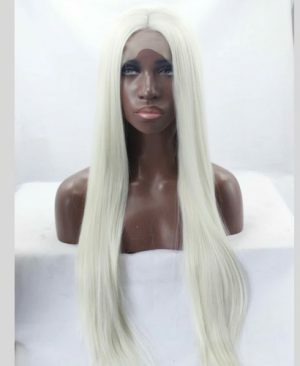 How long will my 360 Lace Frontal Wigs Human Hair last? 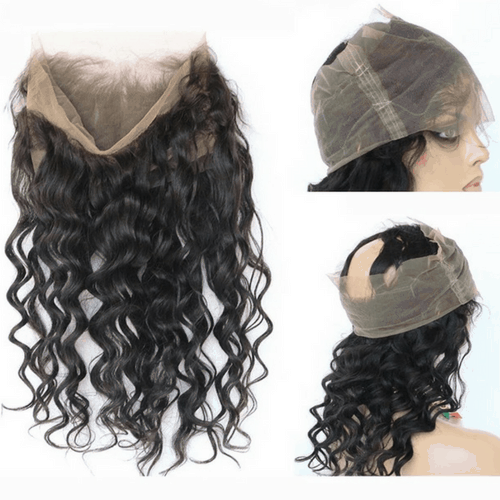 Your 360 lace frontal wigs can last up to 3 years if treated gently and well maintained. Be sure to keep it tangle free, and clean it not more than once per week. The more you use heat to style the wig, the shorter time it will last. The more gentle you are, and the more attention you pay the frontal, the longer it will last! 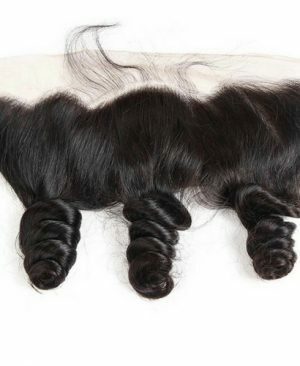 I just get mine from redpopo now, and its very nice good quality hair ever.